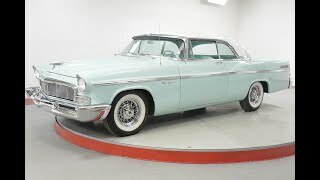 Hi, I am interested in your 1956 Chrysler New Yorker (stock #WWVA573.KT) listed on Autotrader for $27,900. I'd like to get more information about this vehicle and confirm its availability. The Chrysler New Yorker is an automobile model which was produced by Chrysler from 1940 to 1996, serving for several years as the brands flagshipmodel. A trim level named the New York Special first appeared in 1938 and the New Yorker name debuted in 1939. The New Yorker name helped define the Chrysler brand as a maker of upscale models, priced and equipped above mainstream brands like Ford, Chevrolet/Pontiac, and Dodge/Plymouth, but below full luxury brands like Cadillac, Lincoln and Packard. During the New Yorkers tenure, it competed against upper level models from Buick, Oldsmobile and Mercury. Until its discontinuation in 1996, the New Yorker had made its mark as the longest-running American car nameplate.